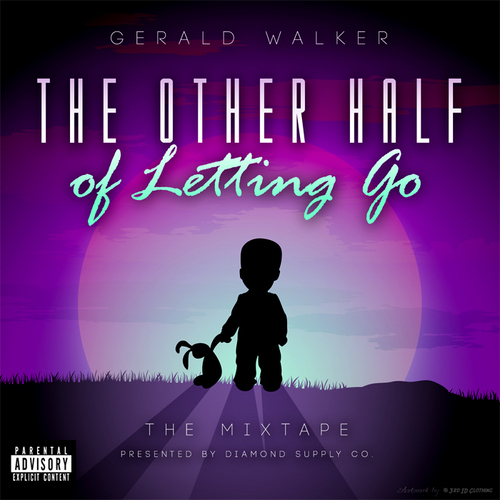 Gerald Walker has been on the come up in past year or so and today, he dropped his latest mixtape, The Other Half of Letting Go, which is presented by Diamond Supply Co. Walker is a multi-talented artist and is not only a rapper but a great vocalist as well. With these attributes, and excellent production by well-known producers Cardo, Sledgren, and even Timbaland, he created a very dope tape with a wide range of music. He also added great visuals for one of the singles, "The Missing Piece." He can chop, sing, and rap just as good, if not better than a lot of well known talents out there, but his name just hasn't risen to stardom yet. Check this mixtape out and I hope you all enjoy it.